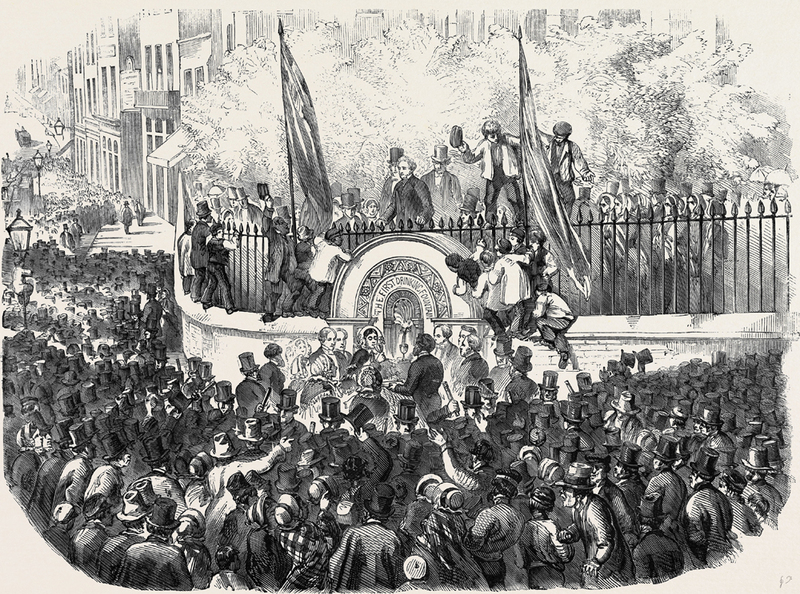 On April 21st, 1859, an incredible thing happened in London and thousands of people came out to celebrate it. Women wore their finest clothing. Men were in suits and top hats, and children clamored to get a glimpse…of the very first public drinking fountain. The fountain was used by thousands of people a day. 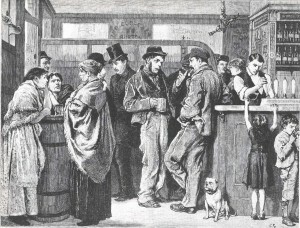 And to understand its mass appeal, you have to understand that city life in London was a nightmare for the poorer classes in the 19th century, and a big part of that nightmare was the drinking water. Most people did not have access to water in their homes. 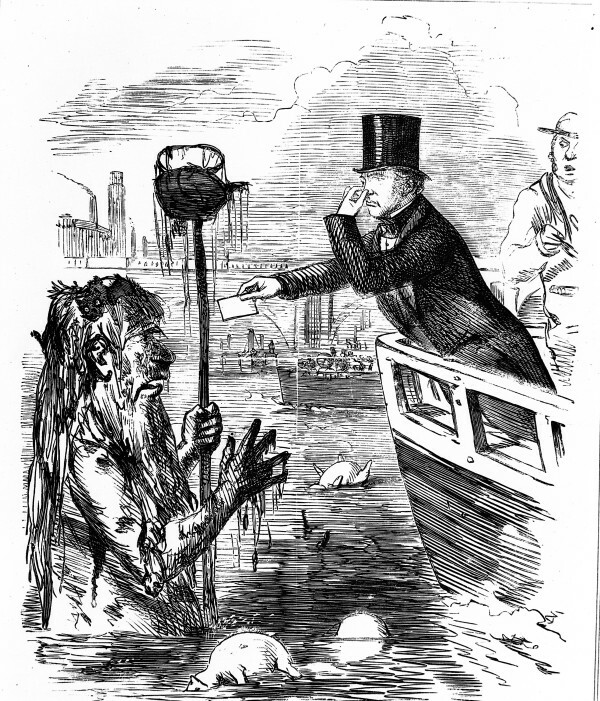 Instead, many got their water from the nasty cesspool known as The River Thames. 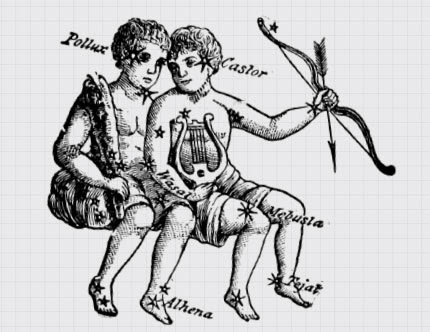 The Thames was essentially a common sewer — full of feces and chemicals. 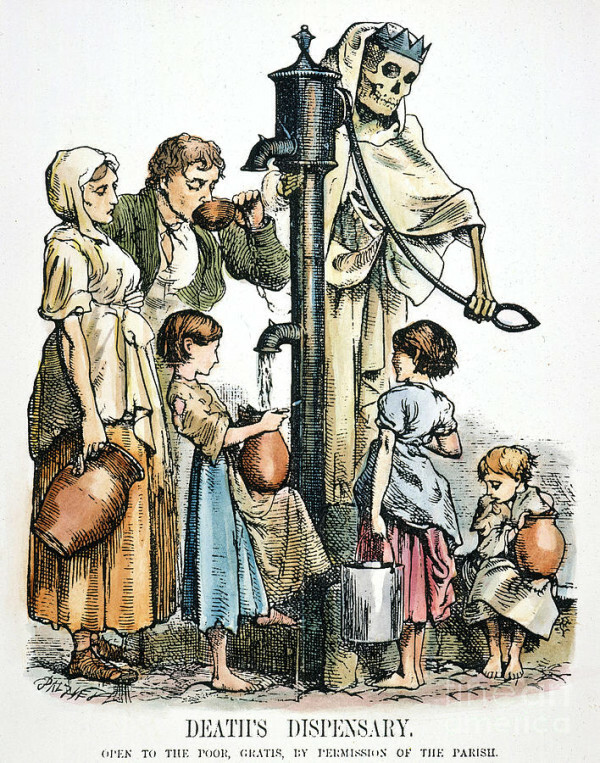 Those that did not get their water directly from the Thames often got it from wells that were dirty and contaminated with disease. Cholera was rampant. Outbreaks of the disease in 1847 and 1854 killed 58,000 people in London, and the accepted theory at the time was that diseases, including Cholera, were spread through bad smelling air. But some people were skeptical of this, including a scientist named John Snow. Snow thought that Cholera might be spread through drinking-water. 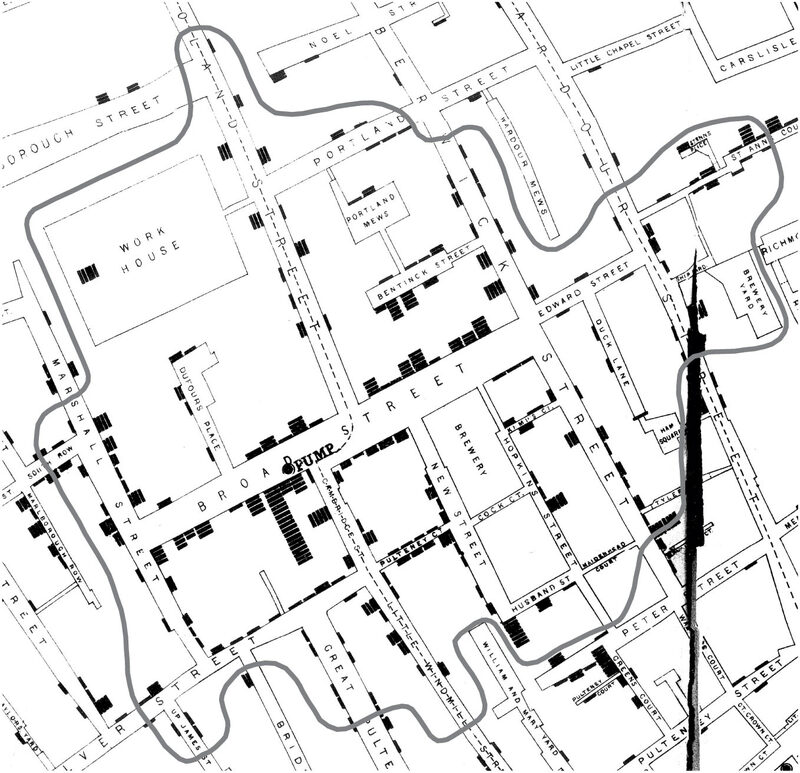 He created a map of Cholera sufferers and tied a particularly brutal outbreak to one water well. He then went and removed the pump handle at that well so that people couldn’t access the water, and the epidemic in that neighborhood ended. 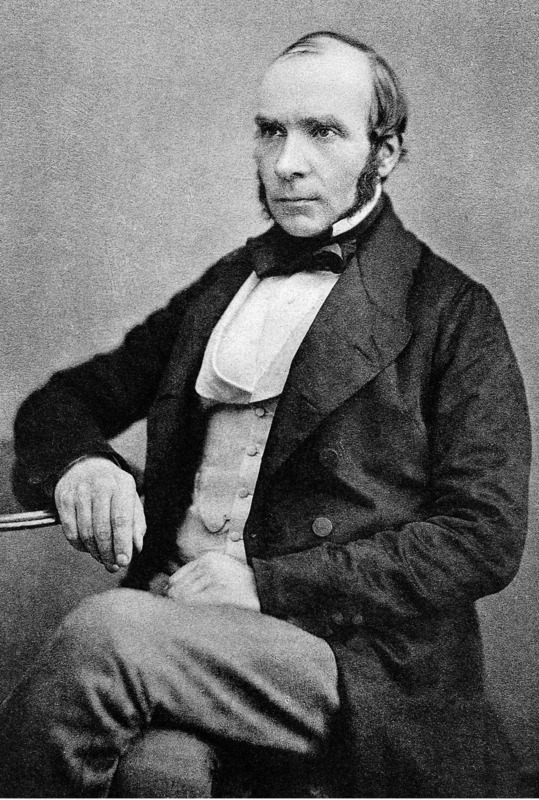 Snow subsequently became known as the father of modern epidemiology. Snow’s Cholera map. Black bars indicated cases of the disease. Shortly after Snow’s discovery, The Metropolitan Free Drinking Fountain and Cattle Trough Association was formed. 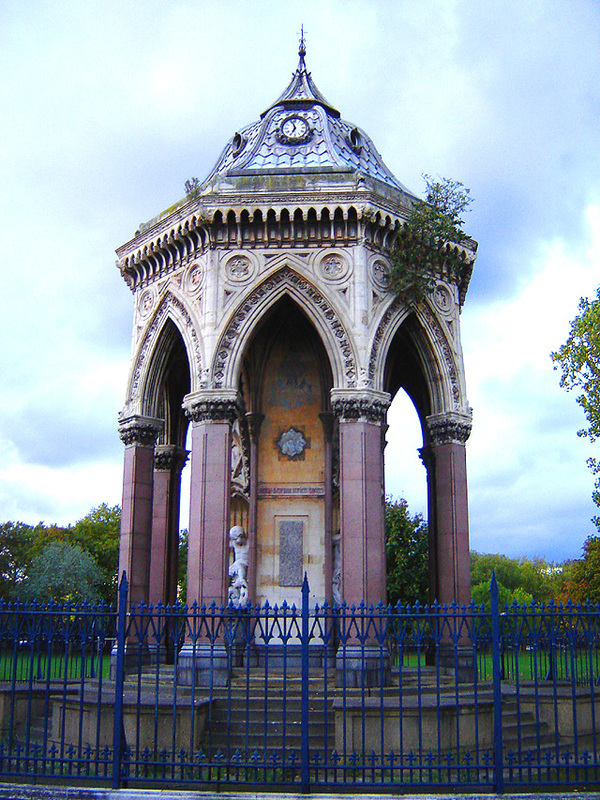 By 1879, the The Association, which was made up of wealthy, mostly Christian philanthropists, had built almost 800 drinking fountains in London. The group had a couple different agendas in building drinking fountains: clean, safe drinking-water for poor people and temperance. 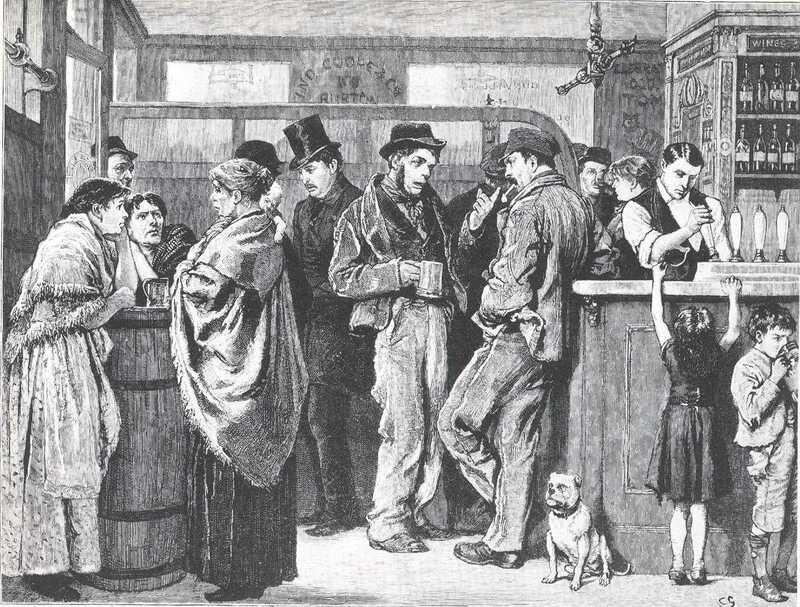 The temperance movement — a social movement that opposed the consumption of alcohol — was an early supporter of this new beverage called “water.” There was a terrible epidemic of alcoholism at the time, both in London and in the United States. Alcoholism was destroying families, but until there was clean, safe drinking water, the temperance movement didn’t have an alternative to offer people in place of booze. Coffee and tea were expense, milk was for babies and many people drank alcoholic beverages simply by default. Temperance fountains were constructed at churches and in public parks, and often, right outside the local pub. The architectural style of these fountains varied greatly depending on who commissioned them, but they weren’t like the drinking fountains you grew up with. They were generally made of stone or granite and some were elaborate structures — not just drinking fountains, but symbols of philanthropy. In the late 1800s and early 1900s, temperance fountains were constructed all over London and in the United States. Baroness Burdett Coutts Drinking Fountain, London. Image by Fin Fahey. While drinking fountains were a huge step forward for public health, their design still posed problems. For one thing, early fountains were generally used via a common cup. It was actually a pretty big battle to get rid of the common cup. Public health officials knew it was spreading disease, but people weren’t in the habit of carrying their own cup. Passed in 1912, the first federal regulation on drinking-water in the United States banned the common cup at public fountains. Drinking fountain with common cup. 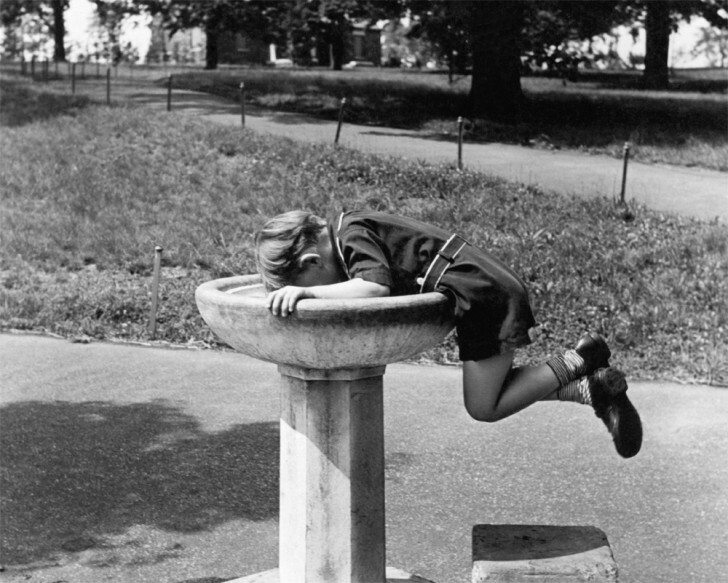 Meanwhile, a drinking fountain was designed didn’t require a cup. It was similar to the drinking fountains we use now, the difference being that the water came out in a vertical jet that shot straight up (the drinker’s backwash fell straight back down onto the spout.) Furthermore, many drinkers were found placing their lips directly on the spout, again creating a health hazard. A so-called Sanitary Drinking Fountain. Finally, the drinking fountain we all know today was developed — one that created an arced stream and included a guard to keep people from placing their lips directly on the spout. 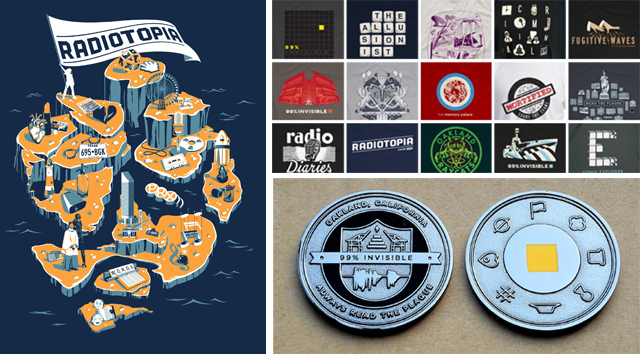 The design that stuck. With arced jet and spout guard. For a lot of Americans, the public drinking fountain conjures an image that has nothing to do with the arced jet, or the common cup, or with temperance — it’s an image of segregation. All over the Jim Crow era south, drinking fountains and public pools were separated. 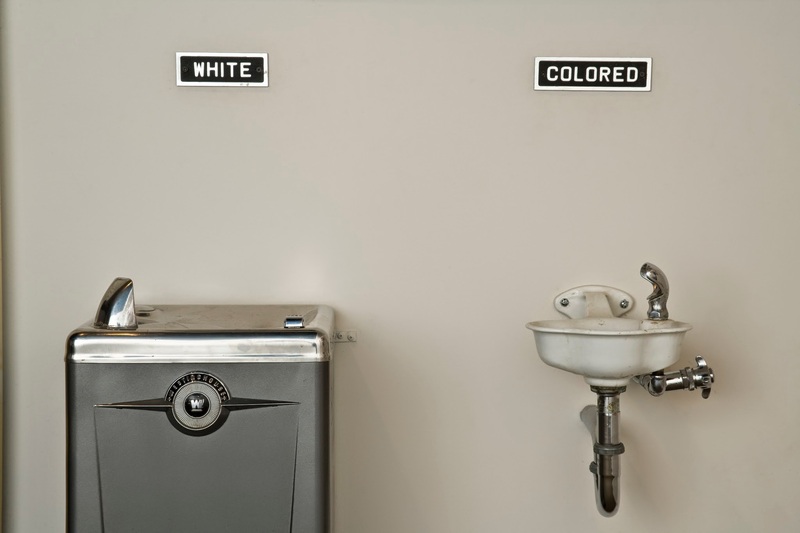 The Civil Rights Act of 1964 ended segregated public facilities including drinking fountains, although a handful hung on in the south for a few more years. 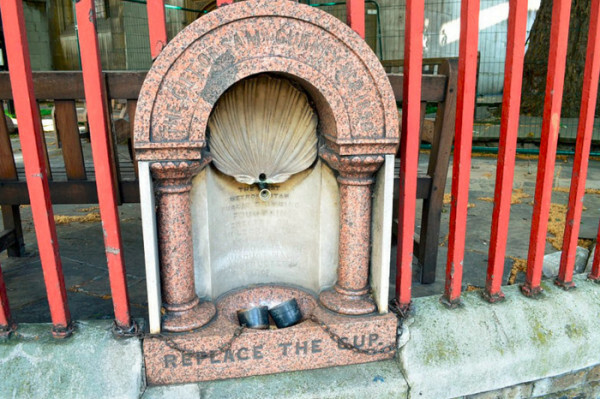 Even with that darkest period of the drinking fountain’s history over, it’s never really been as beloved as it was when they opened the first one in London in 1859. Recently public drinking fountains have met their most formidable opponent: bottled water. There is some evidence to suggest that bottled water is enabling a shift away from the public drinking fountain. In 2007, University of Central Florida opened a brand new football stadium with no public water fountains. On opening day, 45,000 people showed up to watch the UCF Knights play the Texas Longhorns. It was an incredibly hot day and the bottled water sold out quickly. By the end of the game, 18 people had been taken to the hospital for heat-related illnesses. In the aftermath, group of concerned students organized into a group called The Knights for Free Water. They demanded that drinking fountains be installed in the stadium. Their demands were met and the stadium was retrofit accordingly. There are small movements happening to restore the public drinking fountain to its former glory. 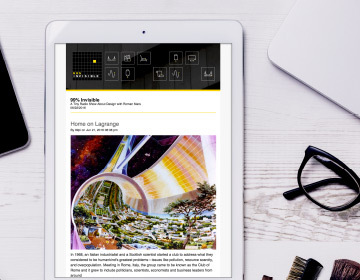 For example, a design group in New York called Pilot Projects is hoping to install 100 new drinking fountains in the city. They’re still trying to convince the city to partner with them on the project. The podcast of this story also includes an episode of Song Exploder in which Hrisihkesh Hirway talks to Merrill Garbus about her song, Water Fountain. The Fall Radiotopia campaign is going strong! 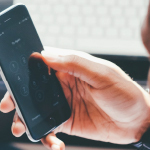 We’re looking for sustained monthly donors from $1 to $20 to support our ongoing mission to make the best programs on the planet. Plus, Slack is giving us an extra $50,000 if we get 15,000 donors, at any level, over the course of this fundraiser. Your pledge could make all the difference. Please click here to pledge and share! Producer Katie Mingle interviewed Scott Francisco from Pilot Projects; Philip Davies, author of Troughs & Drinking Fountains; Peter Gleick, an expert on water related issues at the Pacific Institute; and Marta Gutman, author of A City For Children: Women, Architecture and the Charitable Landscapes of Oakland. A talk that Gutman gave on her book inspired this story. have been waiting for the episode the whole day. Was not disappointed. Hello from Japan! Interestingly, here, the stereotypical “park water fountain” is the type with the ball on top and a twist-spigot sort of water flow control. I’d thought for a while that that was an interestingly old-fashioned approach to public drinking water until, just last weekend, after seven years of living here, I saw on a train platform a water faucet at roughly knee level, labeled “drinking water” in Japanese, that actually had a metal cup on a chain hanging from it. Japan, as it turns out, is a shockingly old-fashioned country in a whole lot of ways, despite its public image. Great episode. I live in Zürich where they are very proud of having the most public water fountains of any city in the world….1224 to be exact!!! No need to buy bottled water here! I didn’t hear the credits for who did the songs in this one and they don’t seem to be listed here. Is there any way to find out? I really enjoyed the episode, but I thought it was ironic that at the end of a episode about how a charitable organization recognized a need and helped to rid London of cholera, you chose to close with a political song that slams those people who believe that it should be charitable organizations, not government, that provide for the common good. I’m not sure how you get that from the song Water Fountains. The song was inspired by what things would be like without any public services at all, but it never rejects charities. I don’t think anyone thinks that public waterworks should be run entirely by charitable organizations. The Roman world was full of drinking fountains and nymphaion. Since London started out as a Roman city, I find it hard to believe that there were no earlier drinking fountains. There is a passage in a Roman-period passage in rabbinic literature dealing with idolatry which reads “A person my not press his mouth against a fountain in the shape of a face in order to drink, since it looks as if he is kissing an idol. However, he can cup his hands to receive the water.” This passage implies that (a) there were such fountains for drinking and (b) people did drink directly from them, in contrast to what the Rabbis wished. Archaeologists even found a fountain shaped like Pan that sprayed water out its mouth in the city of Ashkelon. I was also at that first UCF game at Brighthouse stadium and not having water was pretty terrible. The effect was magnified by the fact that the all aluminum stadium has basically no shade and no breeze unless you’re way up at the top. It was also an interesting game because the stadium flexed a lot more than it does now. It really did feel jumping on a trampoline when Kernkraft 400 was playing. Very fascinating as always, but the episode segues from filthy water causing disease to the history of the drinking fountain, without ever addressing where these new fountains were getting their water. It seems to assume a source other than what was used previously, but I’m still curious. If it was piped in from elsewhere, where were these sources? Also, I have to shake a friendly finger at Roman due to the misleading title, “Fountain Drinks.” I was originally hoping this would be about fountain drinks from soda fountains & the like as I had been sipping on a soda fountain drink at the time. This story reminded me of my time in Rome a few years ago and the massive amounts of “Nasoni” water fountains across the city. 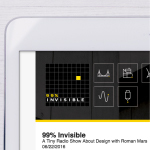 Roman, I love 99pi. I have one request – your voice on almost all episodes is really low in pitch and soft when compared to everything else on the show. And while listening to 99pi while driving I can barely here what you are saying unless I crank up the volume and then the rest of the show is screaming at me. Can you please adjust this for the shows? In one episode, the comedy series Parks and Recreation features a public health initiative to stop the dimwitted townspeople from practicing the odd local custome of putting their lips around the entire spigot. It’s meant as an over-the-top gag — but now I learn it really did happen in history! Enter “Parks and Recreation drinking fountain” to see clips. Always blessed to have clean drinking water! Fascinating to learn about “Sanitary Drinking Fountains”, and thoroughly enjoyed the segment with tUnE-yArDs. More drinking fountains around the world!